Shepherd? What do you think. Vasco Fernandes worked in Viseu as a painter during the first half of the 16th century. His prodigious talent earned him the nickname Grão Vasco, the great Vasco. According to legend, he once painted a fly that looked so real that his apprentices tried to shoo it away. 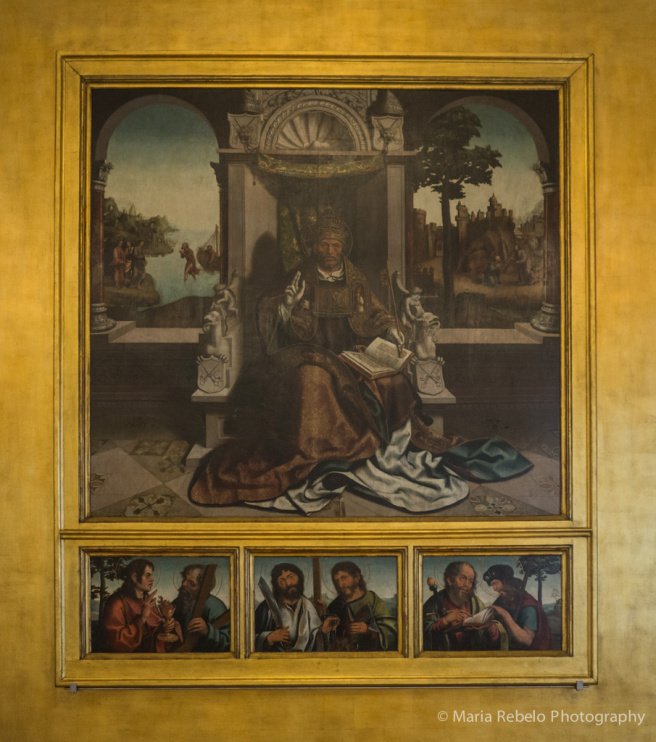 It is easy to believe this story when you’re standing in front of his masterpiece, a painting called Saint Peter that is the crown jewel of Viseu’s Grão Vasco Museum. The intricate architectural elements and background scenes are influenced by the work of Italian, German and Flemish painters. But the pope’s rugged face and gentle look are Portuguese. Who was the model for the painting? We like to think that it was a shepherd from the Estrela mountain. That the great painter trusted the keys of heaven to someone who on earth lived a simple life.